Fluency is the ability to read words with “automaticity”. This is a big word which really means, “I can read the words without stopping and sounding them out. I can read smoothly and at a good rate.” An important part of fluency but one that is often neglected is prosody. When you read with prosody, you read with expression. 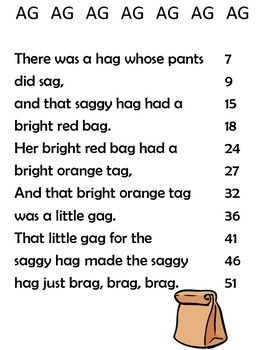 These passages I provided allow the space for prosody but also include a word count for each passage so your students can see how fast they are reading. 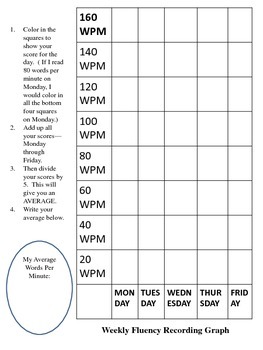 Use the log on the next page to help them keep track. These passages can be read as a group and read repeatedly. Day one you might read while the students echo. Day two you might listen to partners read. Day three you might read as a group varying volume or type of voice used. 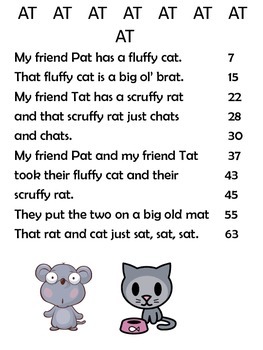 Day four you might sing song the rhymes and day five you might perform the rhymes as a whole class. This book is unique because it also includes flash cards the students can use to practice speed drills. 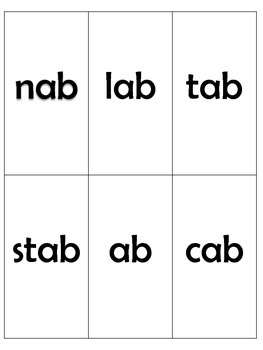 I would recommend using the flash cards first and then having the students practice with the passages.